in CHF, GBP, GBP to CHF. After surging in mid-January, investors sold the Pound (GBP) from its highs in recent sessions and the Pound Sterling to Swiss Franc (GBP/CHF) exchange rate spent most of the week tumbling. The Swiss Franc (CHF) benefitted from market demand for safe havens. GBP/CHF opened last week at the level of 1.3122 and spent most of the week trending lower. On Friday, UK data caused GBP/CHF to slip further and then pair touched on a weekly low of 1.2959. Despite its slide last week though, GBP/CHF remains well above the levels seen in the previous week and especially the levels seen at the end of 2018. This is because Pound investors are still more hopeful that a No-deal Brexit can be avoided than they were a month ago, even though fears were revived slightly last week. Investors found the safe haven Swiss Franc more appealing when UK Parliament failed to agree on a new direction for the Brexit process, instead sending the government to reattempt a renegotiation of the controversial Irish backstop plan. UK data published at the end of the week only exacerbated Brexit jitters, keeping further pressure on the Pound outlook. Brexit fears caused investors to sell the Pound from its best levels for most of the week, but the latest UK manufacturing stats on Friday left the Pound even weaker on Friday. Britain’s January manufacturing PMI was forecast to have slipped from 54.2 to 53.5 in January, but the figure instead slumped to a concerning 52.8. The data indicated that Britain’s manufacturing sector was suffering a worse-than-expected slowdown. Some analysts even became anxious that Britain’s manufacturing sector could see a recession in the coming months, as uncertainties impacting the sector persist. These included slowing global growth, as well as a lack of clarity over how Brexit will unfold. News that UK manufacturers were stockpiling at a record rate amid No-deal Brexit fears also weighed on Sterling today. A combination of global factors left safe haven currencies like the Swiss Franc more appealing over the last week, including US-China trade tensions and political uncertainties in the UK and US. Not only that, but as the reasons for the safe haven demand influenced the US economic outlook this left the US Dollar (USD) unappealing as a safe haven, making the Swiss Franc more appealing in comparison. This safe haven demand, as well as concerns about slowing global growth, left the Swiss Franc sturdy at the end of the week despite Switzerland’s own economic data not being particularly impressive either. Switzerland’s Q1 consumer confidence report was slightly better than expected, but still printed a contraction of -4. Swiss retail sales were worse than expected year-on-year in December, only lightening from -0.6% to -0.3% rather than the expected 0.1%. Switzerland’s January manufacturing PMI from SVME was disappointing too, slowing to 54.3. 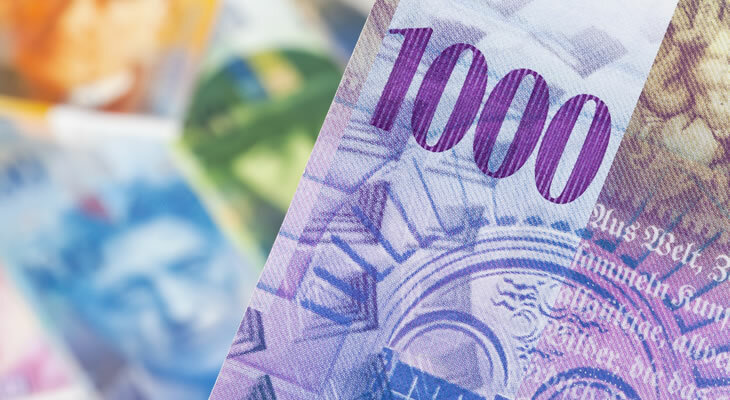 As the Pound’s recent losses and the Swiss Franc’s recent strength have been due to political jitters, this is likely to continue to drive the Pound to Swiss Franc (GBP/CHF) exchange rate outlook in the coming week. If there are any signs that UK Prime Minister Theresa May’s Brexit deal could become more popular domestically, or that the Brexit date could see a formal delay, GBP/CHF is likely to see a jump in demand. Otherwise though, Sterling’s strength may be limited. However, if US-China relations improve or political fears cool, investors may be less eager to hold onto safe haven currencies and the Swiss Franc could weaken. The Swiss Franc outlook may also be influenced by Switzerland data next week. For example, if Switzerland’s unemployment rate is better than expected next week the Pound to Swiss Franc (GBP/CHF) exchange rate could slide further.